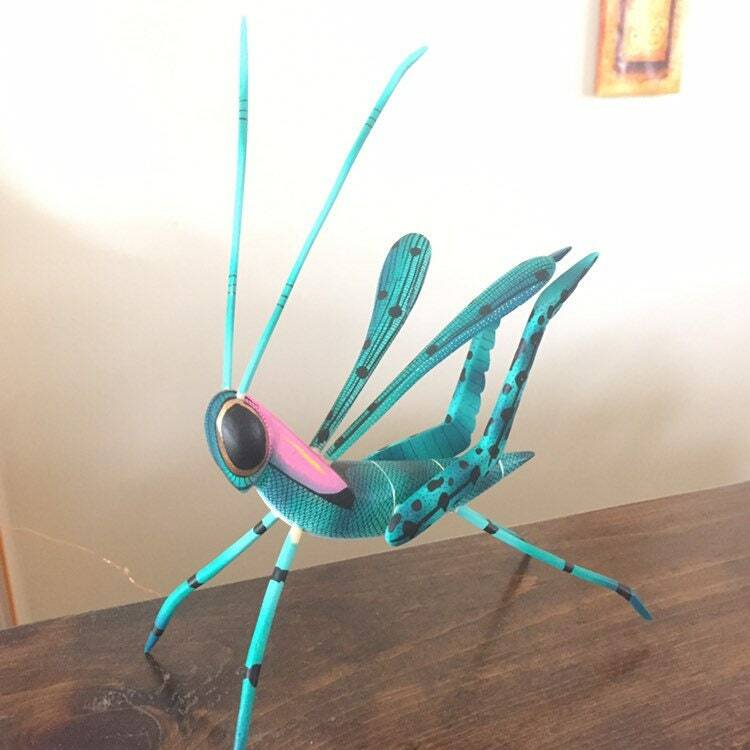 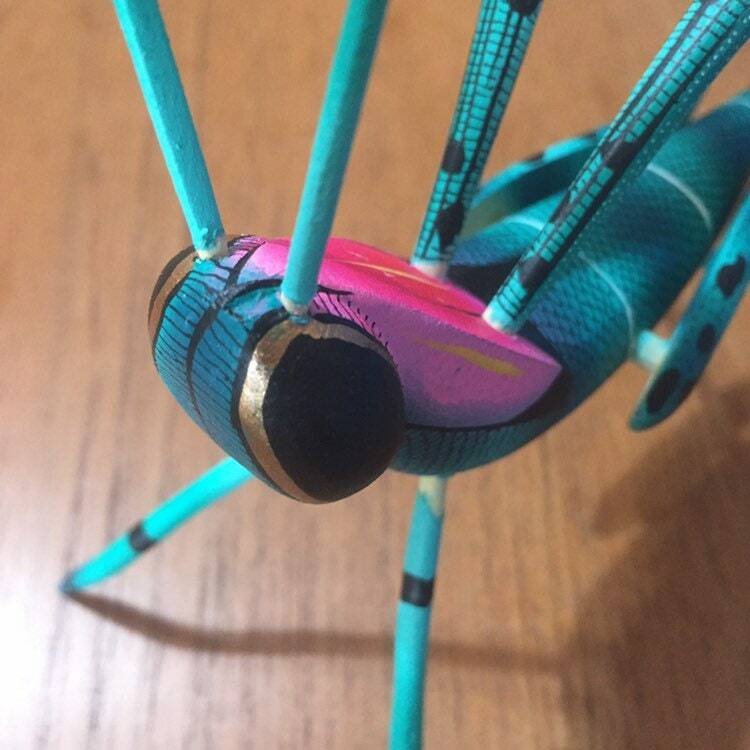 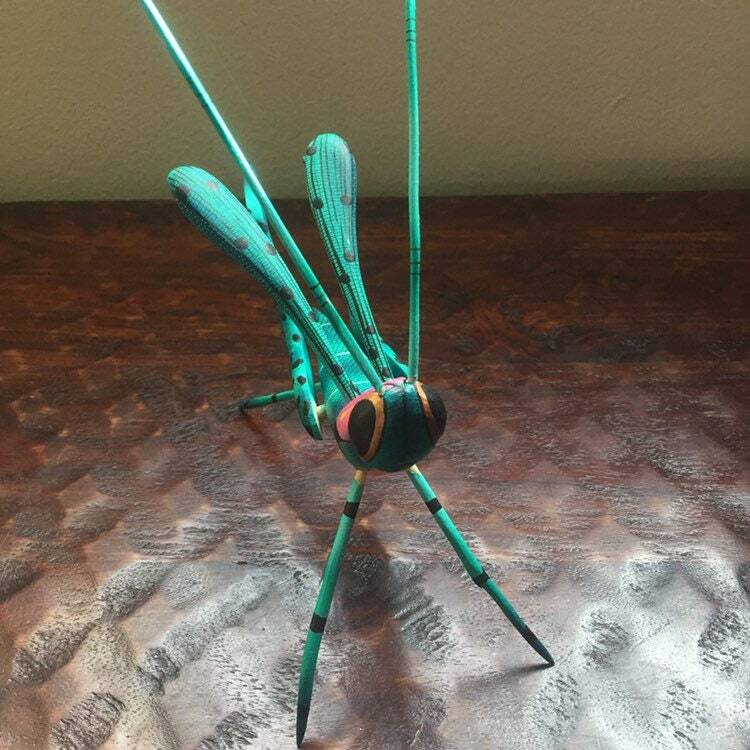 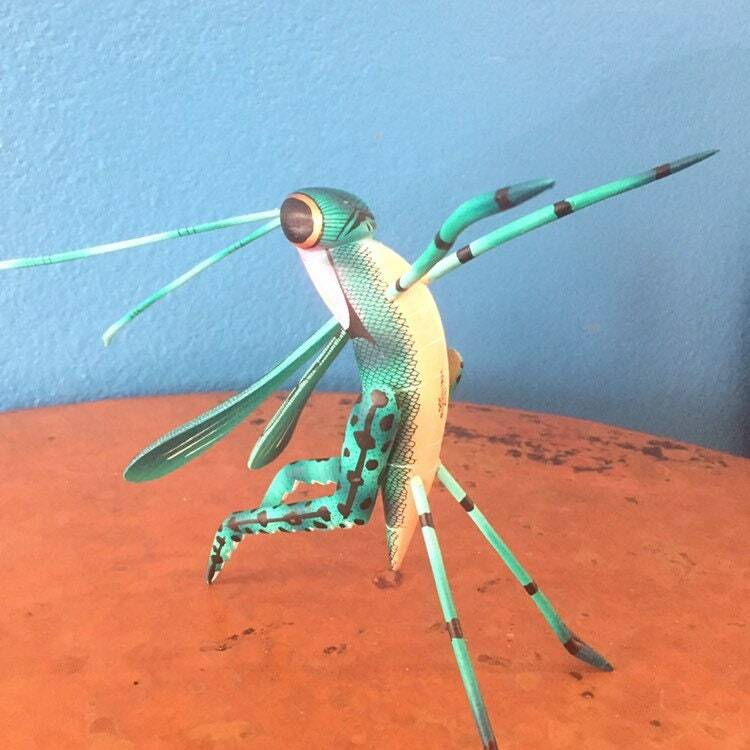 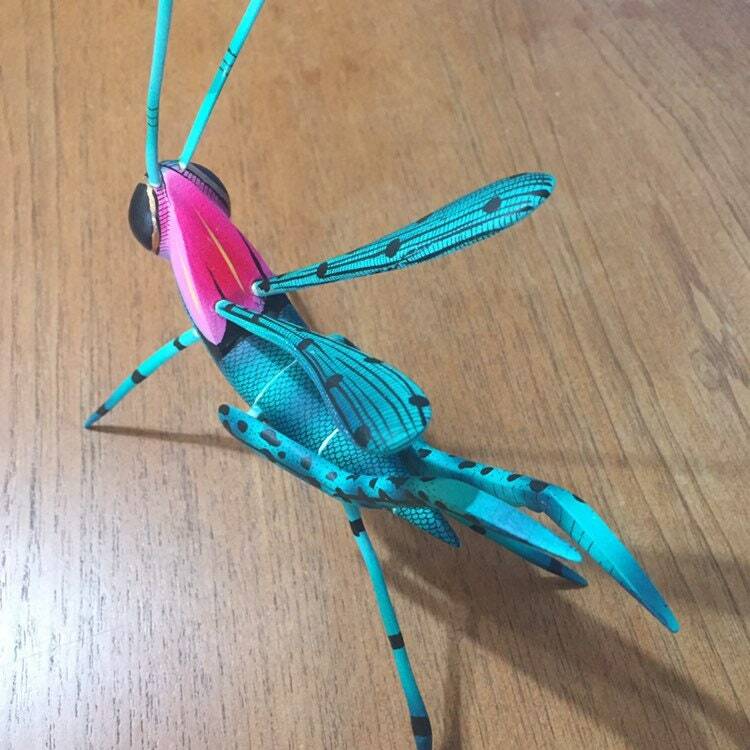 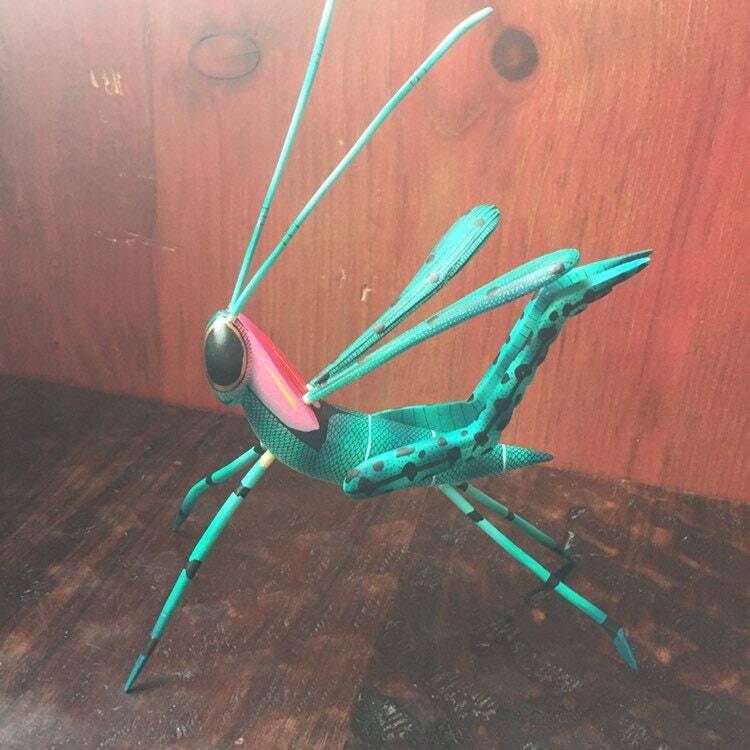 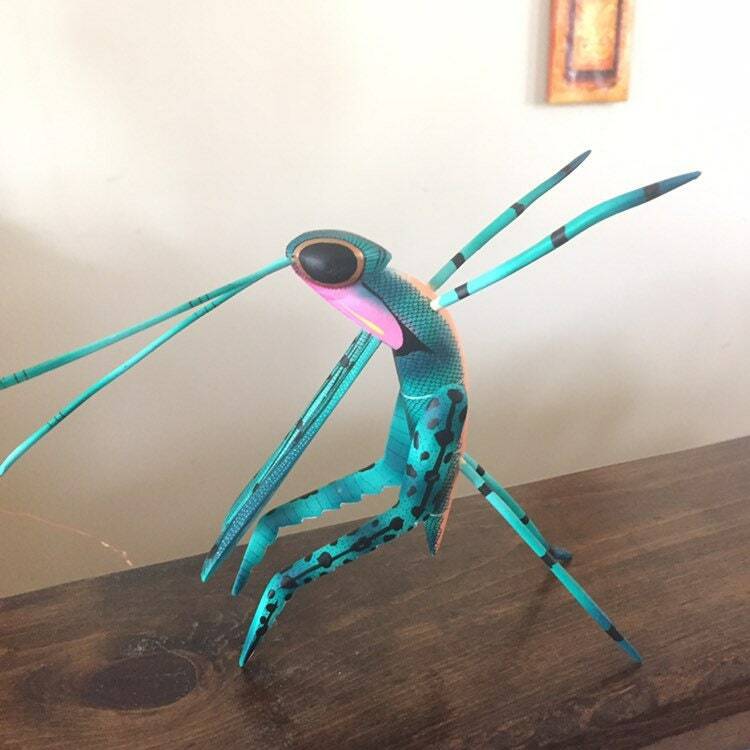 This bright turquoise grasshopper is approx. 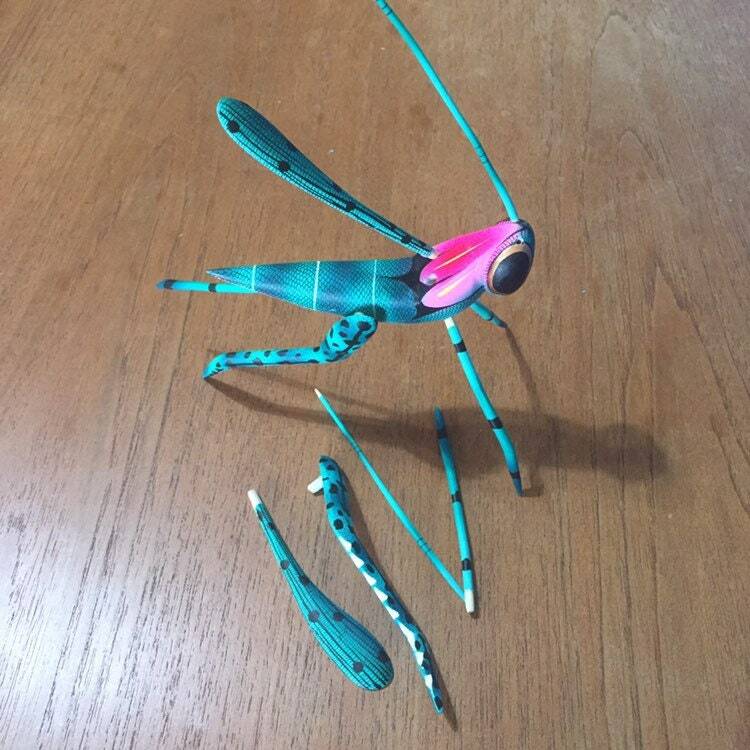 8” x 3” x 6" (h x w x l). 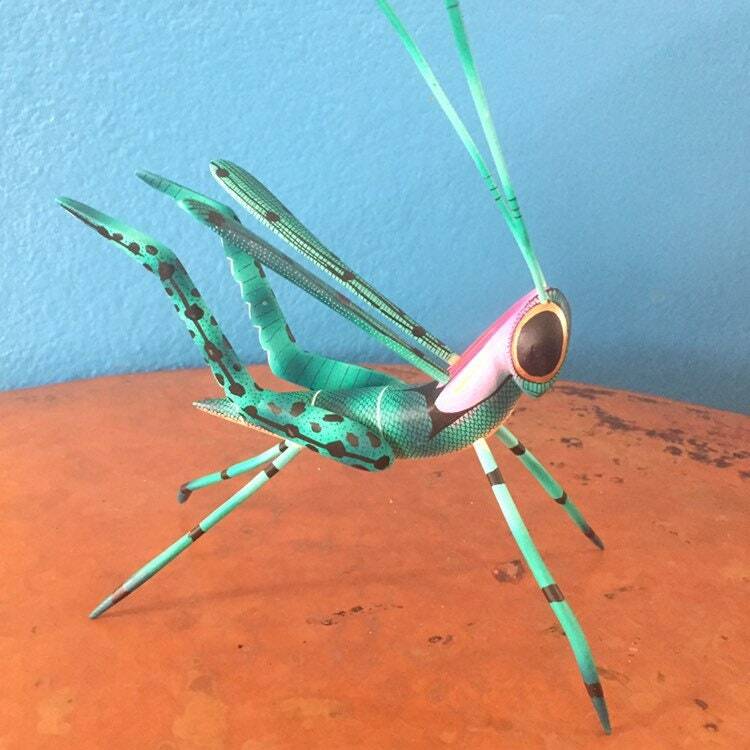 This piece from the shop of Zeny and Reyna Fuentes is handcrafted in Oaxaca, Mexico. 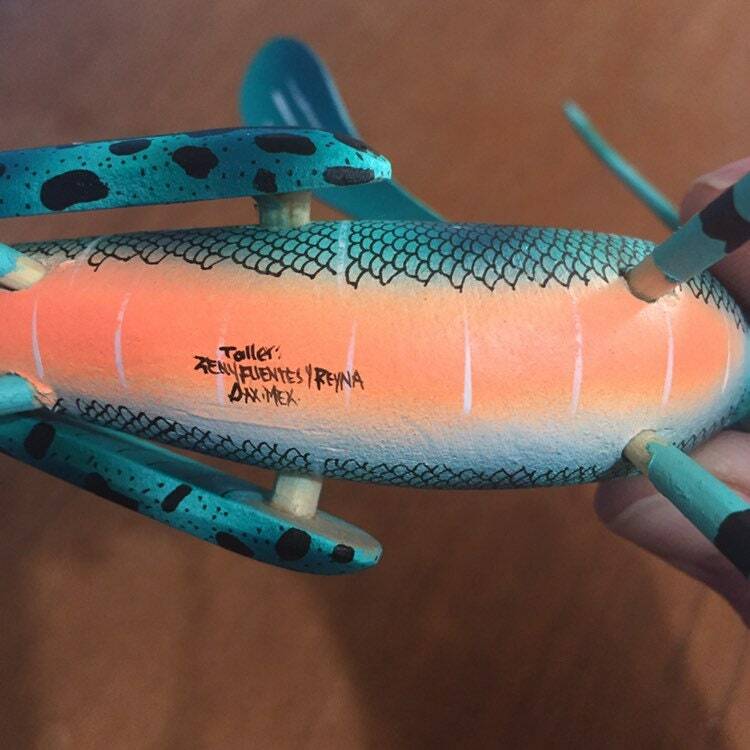 It is signed by Taller Zeny/Fuentes/Reyna.